We don't have kids but sometimes a children's book comes along that we just have to have. 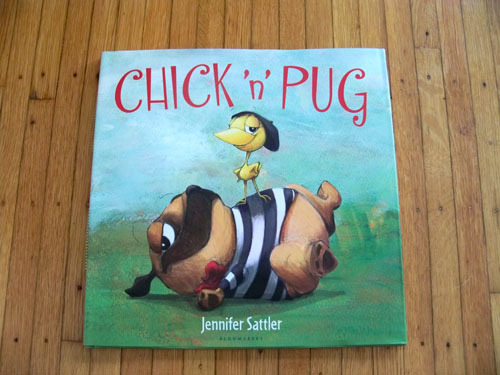 Chick 'n' Pug falls in that category. The pug illustrations are spot on. 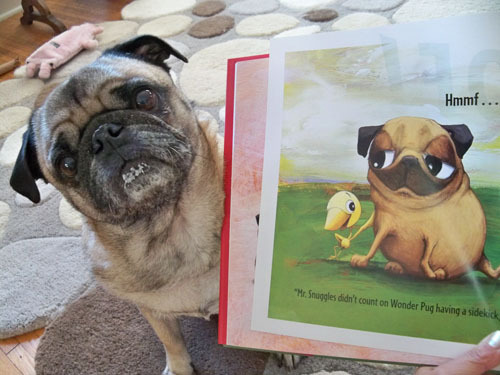 Mr.Snuggles in the book looks jsut like another pug we know. A pug that has cottage cheese on his chin. Hah! 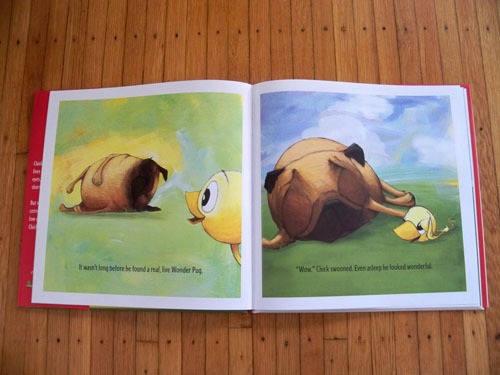 We have some pug children's books too. MUST put this one on the list! My donut ring came. So cute! What a cute little photo! !